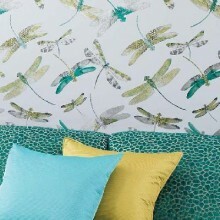 Osborne & Little bring us beautiful interiors collection from the catwalk designer Matthew Williamson. An all-over stylised composition of colourful flowers and contrasting striped leaves. Named after one of the most beautiful villages on the island of Mallorca. Shown here in Midnight/ Coral/ Jade other colour ways are available. Please request a sample for true colour and texture match. 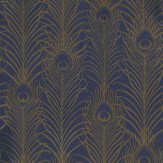 A vibrant wallpaper design featuring an all over pattern of oriental fans, displaying motifs of peacocks and cranes, with contrasting metallic detailing. Shown here in the teal colourway. Other colourways are available. Please request a sample for a true colour match. 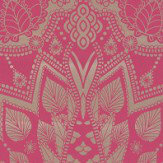 An intricate detailed peacock feather design - created in metallic gold on a vivid pink. Please request sample for true colour match. 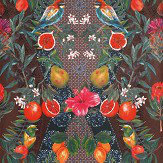 A Matthew Williamson classic profusion of bold flowers, with hidden tiger and palace together with his trademark hummingbird. Shown in rich, hot pink, purples and greens on a stone grey background. Please request sample for true colour match. 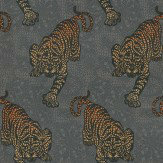 Wide width with a long pattern repeat. 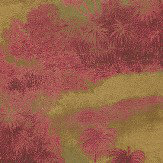 An atmospheric design featuring the silhouettes of swaying island palms. 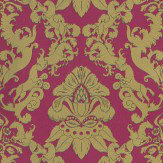 Shown in the fuchsia pink and metallic gold. Please request sample for true colour match. 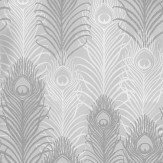 A majestic winged horse motif has been used to create this classic damask design edged with a contrasting flash of colour. 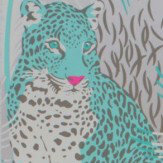 Shown here in the metallic gold on cerise pink with turquoise. Please request a sample for true colour match. 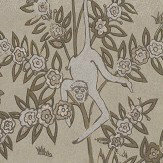 Sharing it's name with the Cuban rhythmical dance, this contemporary wallpaper features an all over toile design, with butterflies and pineapples. Shown here in the ivory, jade and yellow colourway. Other colourways are available. Please request a sample for a true colour match. Paste-the-wall product. 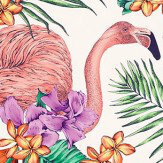 A fun and flamboyant wallpaper design featuring elegant flamingo's peering through exotic jungle flora. Shown here in the jade, lavender and coral colourway. Other colourways are available. Please request a sample for a true colour match. Paste-the-wall product. Wide width product. 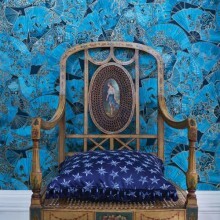 An all over wallpaper design featuring a vibrant mix of leopards stalking between stylised peacock feathers. Shown here in the gilver, jade and cerise colourway. Other colourways are available. Please request a sample for a true colour match. Paste-the-wall product. 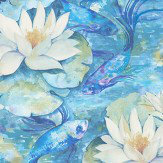 A romantic wallpaper design featuring a painterly effect water lily pond, with dragon flies and ornamental carp. 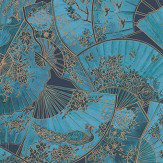 Shown here in the azure blue colourway. Other colourways are available. Please request a sample for a true colour match. 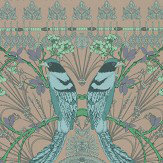 A beautiful wallpaper design featuring stylised birds, with elegant following tails, which create the corners of wallpaper. 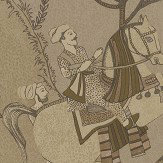 When this wallpaper is hung, it creates a tile effect. Shown here in the black colourway. Other colourways are available. Please request a sample for a true colour match. 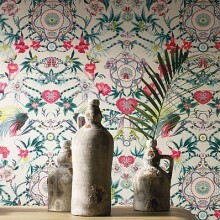 This wallpaper shows a colourful trellis of ribbons combined with citrus fruits and vivid hedgerow flowers. Named after Talavera de La Reina in Castile in mainland Spain, a city famed for its ceramics. Shown here in Plum/ Rich Mint, other colour ways are available. Please request a sample for true colour and texture match. 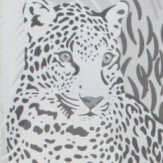 A magnificent stalking tiger motif printed on a holographic foil. 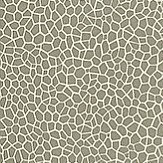 Shown in metallic marigold orange and gold on a chocolate brown crackle effect background. Please request a sample for true colour match. 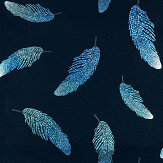 Matthew Williamson’s signature motif, the peacock feather is given an exotic touch with this amazing beaded design. 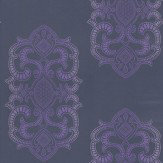 Shown here in beaded metallic antique gold shade overlaid on a dark violet motif. Please request a sample for true colour match. 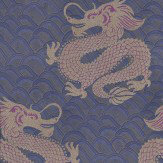 An imperial Chinese dragon motif with beaded scales on a metallic wave background. Shown here in the ink blue, amethyst and metallic gold. Please request a sample for true colour match. A medium scale, elaborate symmetrical knot motif with a striking ombré effect on holographic foil on a plain background. Shown in vibrant shades of violet purple. Please request a sample for true colour match. 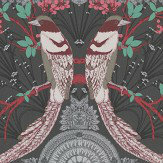 Matthew Williamson’s collection is named after a village in the hills of the Balearic island of Mallorca. 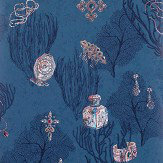 These surroundings have inspired embroidered and printed fabrics which are decidedly Mediterranean in mood and colouring. 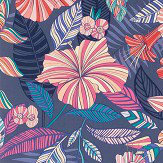 Matthew Williamson’s collection is named after the village in the hills of the Balearic island of Mallorca near where the international designer has a home and spends several months of the year. 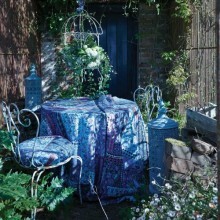 These surroundings have inspired a collection which is decidedly Mediterranean in mood and colouring. All printed on the easy-to-hang non-woven base. This vibrant fabric collection is the perfect finishing touch to any interior. 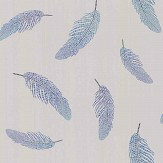 Featuring designs which coordinate and compliment the Belvoir wallpaper collection, this beautiful collection is available in both wild and softer shades, including azure blue, coral, jade, ivory and pearl. 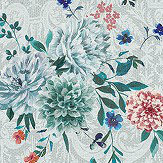 These fabulous wallpaper designs which evoke English country house style, has been given a modern twist by fashion designer Matthew Williamson. 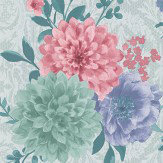 Named in honour of Belvoir castle this vibrant collection includes patterns such as trailing florals, painterly water lily ponds, contemporary damask patterns along with many more which are all available in a range of vibrant colours. 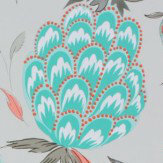 Printed on non-woven paper these designs couldn't be easier to add to your interiors! 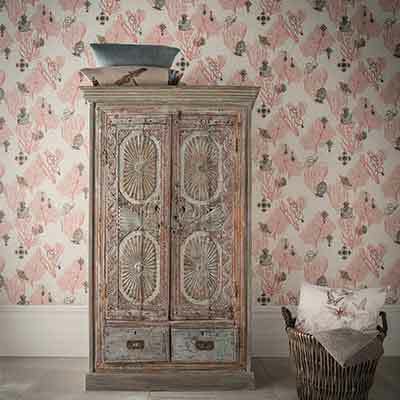 A bright and bold collection of florals, with bird and animal motifs, together with some stunning toile and all over decorative patterns. 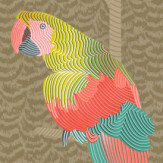 In a rich palette of colours and metallic effects, perfect to add that Matthew Williamson Designer style and colour to your home. 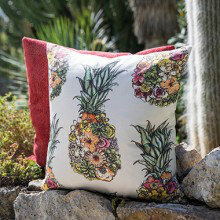 This exotic fabric collection conjures up memories of pre- revolutionary Cuba in the era of Hemingway. 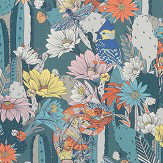 With colours taken from his fashion designs this fabulous collection is the perfect companion to the wallpaper collection of the same name. 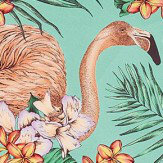 Designs include elegant flamingoes, butterflies, exotic palms and tropical fruits. Please ensure you order a sample for a true colour and texture match. 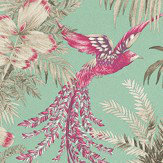 Inspired by Cuba, this newest wallpaper collection is full of life! 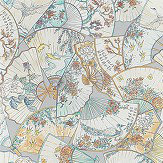 A mixtures of colours and metallics this fabulous collection features exotic designs inspired by nature and travel. 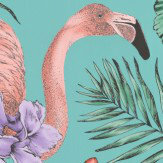 Large scale palms, striking florals and flamingos, parrots and leopards all feature in a variety of colours, and include metallic and foil detailing, perfect for add a touch of Cuban glamour to your home. 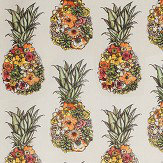 Please ensure you order a sample to appreciate the true beauty of these wallpapers. 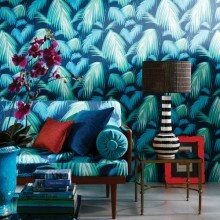 Osborne & Little brings us Matthew Williamson new collection of wallpapers inspired by the tropical island paradise. 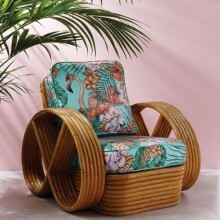 Tropical birds, exotic dragonflies and swaying island palms together with elegant beaded damasks and stripes come together to reflect the fashion world of this style icon. Perfect for your walls too. 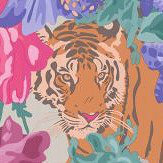 Eden is the debut collection for Osborne & Little by fashion designer Matthew Williamson. 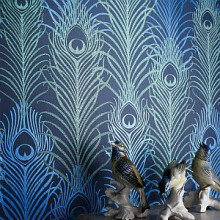 Bringing his unique style and approach to colour to wallcovering designs inspired by ancient myths and legends. So peacock feathers and dragons, tigers and jewel coloured birds mix in an amazing collection of metallics, holographic effects and beaded designs.